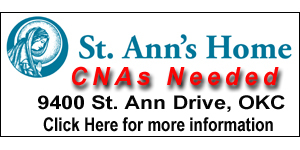 Ana Garcia, APRN- CNP is serving the community she grew up with. Photo provided by Brandon Snider. 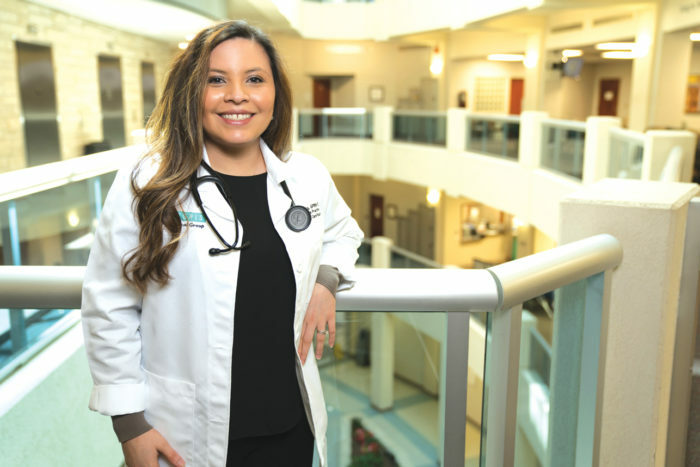 Growing up in Oklahoma City, Ana Garcia, APRN-CNP, knew what it was like to be part of an underserved population. The youngest of six children born to Mexican immigrants, her family moved to the United States seeking new opportunities. Those opportunities sometimes seemed few, but when they arose, her family always took advantage of them. With that kind of raising, it’s no wonder Garcia ended up with a terminal degree in the practice of nursing. Garcia graduated in 2015. She’s in her third year with Integris, now serving at the Southwest Family Clinic. Garcia’s story is a true immigrant tale. She was determined to break through the barriers that stood between her and a college education. Working hard just to provide for their family, higher education was a luxury they could not afford. But while attending Bethany High School, Garcia excelled in school and began to dream of her future. Little did she know, her great opportunity would arise from another woman who, decades earlier, had overcome challenges of her own. Born in 1924, Ruth Mershon wasn’t expected to live past the age of two. Her physical impairments made it difficult to walk or even wear shoes. Through her own tenacity and the support of her family, she persevered and graduated college in 1945. At a time when few women practiced medicine, Mershon decided to become a physician – a career typically restricted to men. But World War II provided new opportunities for women, and Mershon became one of 11 women admitted to the University of Oklahoma College of Medicine that year. She went on to practice anesthesiology for 45 years. Dr. Mershon died in 2000, and while she and Ana Garcia never met, she gave Ana and many other students an incredible opportunity. Dr. Mershon established the Ruth Mershon Scholarship at the Oklahoma City Community Foundation. Since 2000, the scholarship has helped students follow their dreams of going to college. In a unique twist of fate, Garcia also entered the medical field. 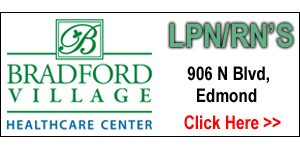 Today, she is a nurse practitioner serving families in southwest Oklahoma City, where 80 percent of her patients primarily speak Spanish. Garcia’s niche has been the Spanish-speaking community. It’s one she discovered that had dramatic needs not being addressed. Often that comes with a host of issues that patients were either unaware they had or hadn’t had a provider adequately address their needs. The language barrier can be a huge part of that. Garcia’s ability to speak Spanish instantly breaks down that wall. Her caring nature seems to take care of the rest. And that’s an opportunity she’ll take advantage of every time. Di Smalley, senior vice president of workforce solutions for Mercy. Di Smalley, who has served Mercy in Oklahoma as regional president since 2007, will move into a new system-wide position to take the lead in workforce management and developing innovative work strategies for Mercy co-workers. “There’s a growing shortage of health care workers across our nation and in order to care for patients, we have to find ways to ensure we have trained health care workers to meet the increasing demand,” said Mike McCurry, Mercy’s chief operating officer. “As a long-time health care executive and former nurse, Di brings the experience we need to solve for this. 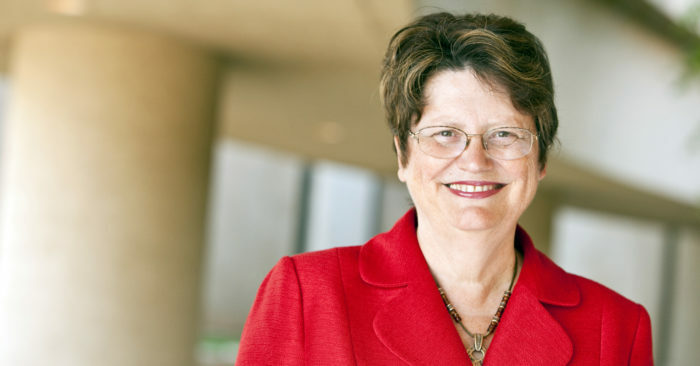 She has spearheaded labor-related initiatives for decades, and she founded and led an organization focused on developing innovative work strategies for health care. As senior vice president of workforce solutions, beginning July 1, Smalley will advance workforce strategies across all disciplines, with a particular focus on high-demand areas such as nursing. She will align all stakeholders, both internally and externally, including leadership and external staffing agencies to enhance workforce efficiency as well as improve the co-worker experience. Prior to joining Mercy, Smalley was president of Avantas, LLC, where she consulted with prominent health care organizations and led the company in building a national reputation for workforce best practices. As a fellow of the American College of Healthcare Executives (ACHE), as well as a former regent, governor and chair, Smalley served on the ACHE Higher Learning Task Force, further enriching her proficiency in workforce development. She was recently named a recipient of the organization’s 2018 Gold Medal Award, ACHE’s highest honor for health care executives. With more than 40,000 health care leaders from 66 countries, the ACHE is highly influential across health care. Smalley earned a bachelor’s degree in biology from Midland Lutheran College in Fremont, Nebraska, and a master’s degree in public health from the University of Minnesota in Minneapolis. 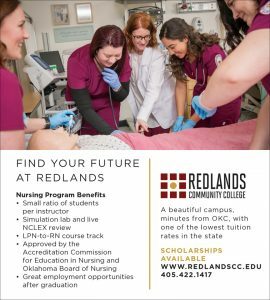 She is also a graduate of the Nebraska Methodist School of Nursing in Omaha. In her new role, Smalley will work remotely from Oklahoma City as well as from Mercy’s corporate offices in St. Louis. 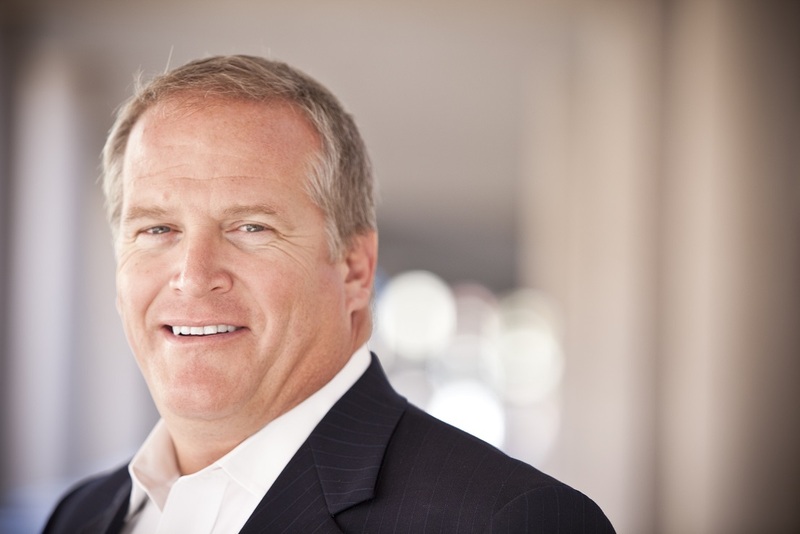 Donn Sorensen, Mercy’s executive vice president of operations will additionally serve in Oklahoma as regional president. Donn Sorensen, Mercy’s executive vice president of operations across Mercy, will additionally serve in Oklahoma as regional president, overseeing Mercy’s services, clinics and hospitals throughout the state. Sorensen, who has more than 30 years of experience in health care, joined Mercy in 2000 and has served in multiple leadership roles. He led clinic operations in Springfield, Missouri, and under his leadership there, it was recognized three times as the nation’s top integrated health care delivery network. In 2011, Sorensen was tapped to bring his expertise to St. Louis where he led Mercy’s eastern Missouri region to significant growth, including expanded access to care with more physicians and locations, and new health care partnerships to better serve the community. In addition to his contributions to Mercy, Sorensen is a longtime member of the AMGA, an organization that represents some of the country’s largest health care delivery systems, and served as a board member and chair of the AMGA’s board of directors. Sorensen has a bachelor’s degree in business administration from Luther College in Decorah, Iowa, as well as a master’s in health administration from St. Mary’s College in Rochester, Minnesota, and a master’s in business administration from Missouri State University in Springfield, Missouri. INTEGRIS announced today that it has signed a definitive agreement to purchase all associated assets of Deaconess Hospital located near N.W. 50th and Portland in Oklahoma City from an affiliate of Community Health Systems, Inc. (NYSE: CYH) headquartered in Franklin, Tennessee. Deaconess operates under the AllianceHealth brand name in Oklahoma and the purchase does not include other AllianceHealth facilities in the state. 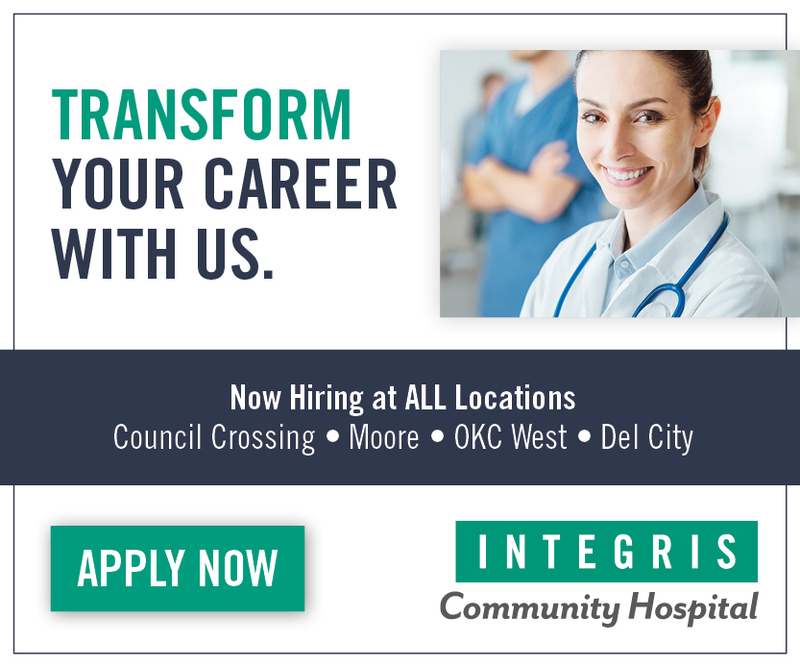 INTEGRIS will continue operations in the Deaconess facility offering quality health care to area residents. Due diligence efforts continue, and the transaction is expected to close during the third quarter of 2018, subject to customary regulatory approvals and closing conditions. 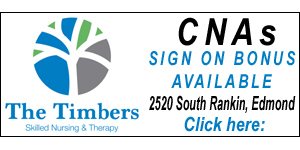 Kaufman, Hall & Associates, LLC is acting as the exclusive financial advisor to INTEGRIS Health on this transaction. Ronny Gordon is a paramedic and a Lead Nurse at AllianceHealth Deaconess Emergency Room. Team work is very important when it comes to working in the ER. When it comes to helping others, there is someone special that seems to have a real gift for it. 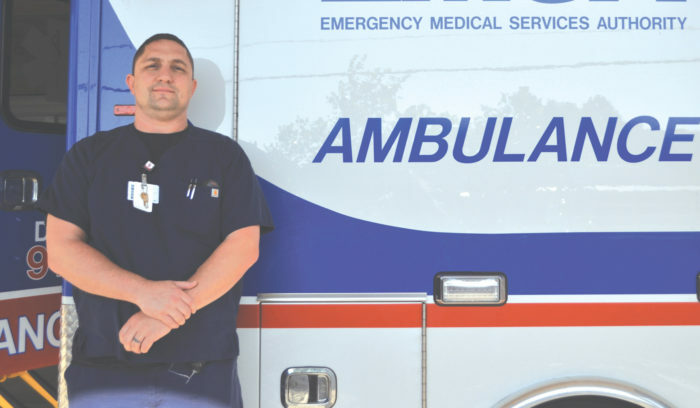 No matter what the situation, Ronny Gordon, RN is ready to take charge as a lead nurse or focus on his paramedic skills in the ER at AllianceHealth Deaconess Hospital. Ronny grew up in Newcastle, OK where he still resides. Serving as a volunteer for the Newcastle Fire Department, he realized his calling was to help others. He became a paramedic and worked at Norman Regional Hospital for 14 years. It was at that time that he decided to continue his education and become a nurse. He accomplished his goal and is presently going to school for his Masters. Asking Ronny if anyone influenced him to become a nurse, he replied, “No, I decided to go into the medical field on my own. In fact, I was the first one in my family to become a nurse. I am a paramedic here at the hospital several days a week and a Lead RN for several days. It’s kind of a crazy schedule but I love it. I like the fast-action variety of the ER. Either one, I know it is my job to take care of the people in the best way that I can,” he said. Ronny is married and enjoys spending time with his wife and his two children; a daughter 12 and a son, 9. “Both, my son and my daughter are into basketball. My son likes football too. My daughter is entering middle school so she wants to do cross country. I know it is going to be a busy year,” he said with a smile. “We try to spend family time as much as we can, including swimming and just hanging out together,” he added. 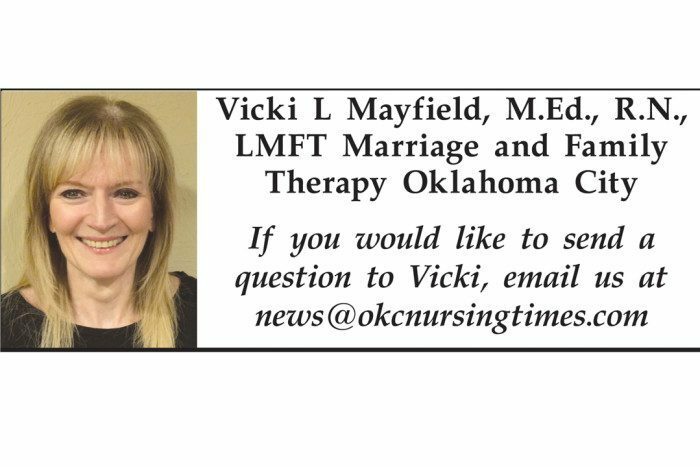 “I didn’t have any mentors while going through nursing school but after graduation, there were a few people at Norman Reginal Hospital that I really looked up to. Since I was a paramedic, things were quite a big different than being a nurse. I had to learn about time management. 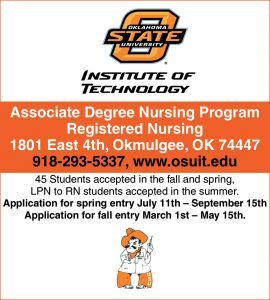 I admired Stephanie Allen for teaching me some of the nursing skills. In fact, I am still good friends with Stephanie. My time management has improved so much,” he commented. What qualities make a good nurse? “A nurse has to have patience and a true understanding of the patient. As you probably know, sometimes, the patients come in, and they are not in the best of moods. Sometimes, the patients are not in their right mind; such as dementia, they say all sorts of things to the nurses. It is not aimed at us; they don’t know what they are saying. We, as nurses, have to understand that they are not attacking us with their words. We just have to let those feelings go and roll off our back, not holding a grudge. I consider it a real blessing because I am one to let things go. A nurse needs to be able to be mentally healthy to process it and go on with life,” he said. There is not a typical work day for Ronny. “Sometimes, we may see 50 patients and they are all fast-track. Those 50 patients may take a lot longer than we had planned, needing extra procedures, taking more time than we assumed. But then again, we might see those 50 patients, and each patient moving along quickly. In the ER, no one knows how the day will start or end. We never know how it will turn out,” he said. Ronny’s biggest reward about his job is the fact that he is helping others. Not only is Ronny an excellent RN and paramedic, but he also teaches different classes at AllianceHealth Deaconess including PALS (pediatric advanced life support) and medical classes for orientation. “AllianceHealth Deaconess ER is one of the best ER’s I have worked at. We have good management here. I admire my director and supervisor and I have a lot of respect for my coworkers and the hard work that goes on here. I enjoy my job here and wouldn’t ‘t change anything,” Ronny said. In many hospitals and health systems, it is not uncommon to hear of tensions between two particular departments on staff: nursing and pharmacy. While both disciplines have a shared primary focus on the needs of the patient, differences in their job functions and communication styles can lead to friction and frustration, which could in turn result in a range of detriments. In many hospitals and health systems, it is not uncommon to hear of tensions between two particular departments on staff: nursing and pharmacy. While both disciplines have a shared primary focus on the needs of the patient, differences in their job functions and communication styles can lead to friction and frustration, which could in turn result in a range of detriments. The first and most obvious outcome of interdepartmental schism is the likelihood of increased job dissatisfaction, which could, in turn, have negative effects on the hospital’s bottom line. The link between nurse job satisfaction and patient satisfaction has been well-documented, with one study showing that for every 10 percent of nurses reporting job dissatisfaction, the likelihood of patient recommendations decreases by 2 percent. This correlation brings with it the possibility that low job satisfaction could negatively impact HCAHPS scores – the government survey that measures patient satisfaction – with the ensuing potential for lower reimbursements and decreased profitability. An even greater cause for potential concern is that a poor relationship between the nursing and pharmacy departments could lead to communication breakdowns, even resulting in adverse patient reactions. · Consider a new pharmacy model – Introduce a decentralized pharmacy model that provides nurses a “go-to” pharmacist dedicated to a particular floor that can assist directly with medication needs. The traditional, and prevalent, model often sees the pharmacist isolated, located on a separate floor, and away “from the action.” This can not only be a cause of frustration for nurses that are on the frontline and having to manage a patient who might be in serious pain, but it also reinforces the perception that since the pharmacist isn’t interacting directly with the patient, they don’t appreciate the urgency of the situation or level of pain the patient is experiencing. 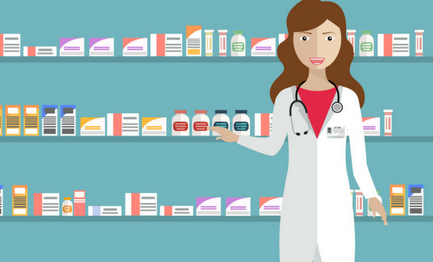 By contrast, the decentralized model bring a delegated pharmacist to the floor, which can minimize medication delays, and also makes an expert available to directly answer any specific medication questions a patient, nurse or other healthcare provider might have. This strengthens the relationship between physicians, nurses and other members of the medical team. It also assists to identify potential issues and solutions. Having the pharmacy team integrated in this way could provide a range of benefits, such as improving order sets, refining infusion pump data, and assisting nurses to educate patients about their medications. 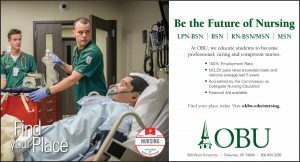 · Foster an environment of open communication and collaboration – Sometimes the respective “languages” spoken by the nursing and pharmacy staffs can create communication blocks between the two. It would be beneficial if pharmacists could shadow and spend a day in the nurses’ shoes and vice versa. Better understanding brought about through such an effort could serve to break down barriers and allow us to communicate using the same language. Also, aligning the goals of both the nursing and pharmacy teams is important in helping to improve communication, as demonstrated by the decentralized pharmacy model. Facilities with a multi-disciplinary approach to patient care are armed with the best tools to manage any potential communication challenges. · Share perspectives during recruitment process – Involve pharmacists in the hiring of nurse leadership positions and vice versa. Executives will find that each discipline brings different input points to the process, increasing the chance of bringing on the best candidate. It also provides a chance to establish the hospital’s collaborative, team-environment from the start, which is easier than trying to implement after the fact, and further helps to increase a better understanding of both professions. Jessy Thomas, PharmD, is director of pharmacy for CompleteRx, one of the nation’s leading pharmacy management companies, and has served as the director of pharmacy for Driscoll Children’s Hospital in Corpus Christi, Texas, for the last five years. She was previously the pediatric intensive care unit clinical pharmacist at Driscoll Children’s Hospital. Jessy holds a doctor of pharmacy degree from Philadelphia College of Pharmacy and completed a residency in pharmacy practice. In a 5-4 landmark decision, the U.S. Supreme Court today ruled that the president has the authority to ban travelers from certain majority-Muslim countries if he thinks that it is necessary to protect the country, overturning lower court decisions that had struck down three versions of the so-called travel ban. ANA had joined an amicus brief filed by the Association of American Medical Colleges and more than 30 other organizations, representing a wide range of health care professions urging the Supreme Court to reinstate the nationwide injunction against the Trump Administration Proclamation 9645 that indefinitely bars individuals from entering the United States on the basis of their nationality. The following statement is attributable to Pamela F. Cipriano, PhD, RN, NEA-BC, FAAN, president of the American Nurses Association (ANA). “The American Nurses Association (ANA) is very disappointed that that Supreme Court did not maintain the injunction against the travel ban. Nursing is committed to the welfare of the sick, injured, and vulnerable in society and to social justice. The Code of Ethics for Nurses calls on all nurses to always preserve the human rights of vulnerable groups such as children, women and refugees, and to advocate for the protection of social justice to guard against unfair targeting of religious groups. Any actions that are intended to increase the safety of our country must be clearly defined and not jeopardize human rights. Additionally, the travel ban may halt the entry of highly sought after experts who would contribute valuable services within the United States. As such the ban fails to acknowledge that the American healthcare workforce is part of an integrated international community; professionals in the U.S. and beyond our shores collaborate to address critical healthcare issues and provide quality care rooted in research, discovery, and innovation that cuts across borders. A failure to recognize the invaluable contributions of top minds in health care around the globe threatens the nation’s health security and creates unnecessary barriers to care for vulnerable populations and millions of Americans. ASK VICKI: Q. So is happiness really all that’s is cracked up to be? Q. So is happiness really all that’s is cracked up to be? It seems so much emphasis is put on being happy that it sets people up to believe we should feel that all the time. I’m not happy all the time and I think that is normal. What do you think? A. Well Andrea I agree with you; it is not normal to be happy all the time or to strive to be happy all the time! According to Dr. Russ Harris, author of The Happiness Trap – stop struggling, start living; the more we try to find happiness, the more we suffer. We are so busy chasing the feeling of happiness we forget to live in the now. Maybe we are happy now but how would we know it if our energy is spent searching for it. What does happiness look like? 1. Happiness usually refers to a feeling: a sense of pleasure, gladness or gratification. We all enjoy happy feelings so no surprise that we chase them. But feelings of happiness don’t last. In fact the harder we pursue pleasurable feelings, the more we are likely to suffer from anxiety and depression. 2. Happiness is having a rich, full and meaningful life — a powerful sense of vitality. This is not some floating feeling. It is a profound sense of a life well lived. And although such a life will undoubtedly give us many pleasurable feelings, it will also give us uncomfortable ones, such as sadness, fear and anger. This is only to be expected. If we live a full life, we will feel the full range of human emotions. For example: Brittany (name change) occasionally had bouts of depression that made he go to bed and pull the covers over her head. She called one day and said, “I need to make an appointment, I have been in bed for three days and need help.” I asked if she showered,got dressed and ate breakfast, she said yes. When she came in I told her sometimes we experience days when we do not want to get out of bed. Sometimes we have symptoms of depression and we need to reach out for help, which she did. (It is true that depression can become very serious without intervention). Sometimes we just have to call it what it is and use various coping skills to lift it and find comfort. Beware of Destination Addiction — a preoccupation with the idea that happiness is in the next place, the next job, and with the next partner. Until you give up the idea that happiness is somewhere else, it will never be where you are. 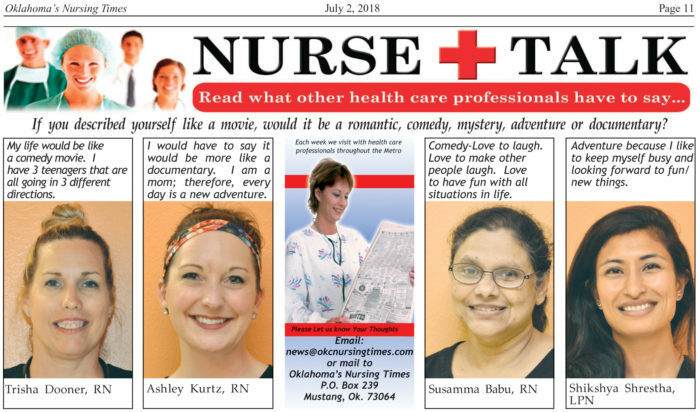 nurse talk: If you described yourself like a movie, would it be? If you described yourself like a movie, would it be a romantic, comedy, mystery, adventure or documentary? More than 50 million people in the United States suffer from at least one food allergy. Peanuts. Shellfish. Eggs. Milk. While that may look like a grocery list to some, to those who are allergic to these common foods, it reads like the start of a horror novel. More than 50 million people in the United States suffer from at least one food allergy, and many can result in serious health problems and even death. Allergic reactions to food are most common in children, with the Centers for Disease Control and Prevention reporting 4 to 6 percent of youngsters in the U.S. are affected. With food allergies making such a significant impact on the population, are we any closer to solving the issue? “We don’t yet have all the answers, but we’ve found some important new clues in recent years,” said OMRF President Stephen Prescott, M.D. Food allergies occur when the body has a specific immune response to a food. While our immune system is designed to fight off foreign invaders like viruses to keep us healthy, occasionally it can incorrectly identify a harmless substance—like peanuts or shellfish—as a threat. Prescott said for many years, health experts focused on identifying allergens and telling people to stay away from those offending foods. 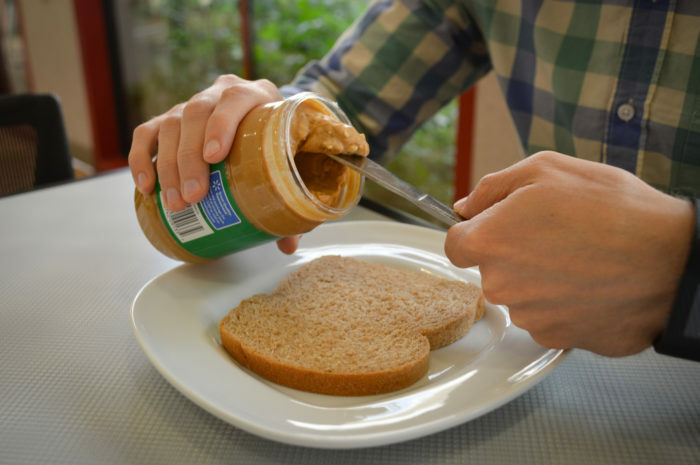 In an effort to understand why, scientists studied hundreds of infants deemed at high risk of developing a peanut allergy. They randomly assigned some of the babies to be regularly fed peanut products, while denying the others all foods containing peanuts. By age 5, less than 2 percent of those children fed peanuts developed an allergy, compared to almost 14 percent of those who’d avoided peanuts. A second study involving children who already showed peanut sensitivities at the beginning of the study yielded similar outcomes. Indeed, the National Institute of Allergy and Infectious Diseases has issued new guidelines recommending giving babies puréed or finger food containing peanut powder or extract before they are six months old. The Journal Record recently held their 2018 Reader Rankings survey, asking readers to vote for the best businesses across a wide variety of categories encompassing the areas of construction and design, entertainment, finance/accounting, general business, higher education, hospitality, legal services, real estate and information technology and health care. According to survey results Journal Record readers voted SSM Health St. Anthony Hospital as “Best Hospital.” “SSM Health St. Anthony Hospital takes great pride in providing exceptional patient care. This recognition is a reflection of our employees and their dedication to providing safe, compassionate care to every patient,” said Tammy Powell, President of SSM Health St. Anthony Hospital. More than 600 businesses and organizations were listed on the official online ballot. The ballot was open from March 5-April 16, and generated more than 2,255 responses from businesses and professionals across Oklahoma.